Trick or Treat! While children and teens dress up and go out for Halloween festivities, the adults are busy helping the youngsters prepare for one of the biggest nights of the year (next to Christmas). What kind of treat do the ones not trick-or-treating deserve? Maybe a warm cup of tea along with some scones or toast with jam or a nice sandwich with tangy mustard? You’ll be surprised to find all sorts of treats for the tea time fan. While our shop sells r egular sized jams and jellies, these tiny jars of fruity goodness are just too cute to pass up! We are proud suppliers of Bonne Maman, a French jam company specializing in scrumptious flavors like fig, cherry, and strawberry and jarring them up with their trademark gingham lids. These jams are popular regular sized, so when they’re tiny, they’re even more irresistible. The smaller size makes it a lot easier to sample flavors you may not have tasted before or just simply spice things up by mixing up your favorite flavors. 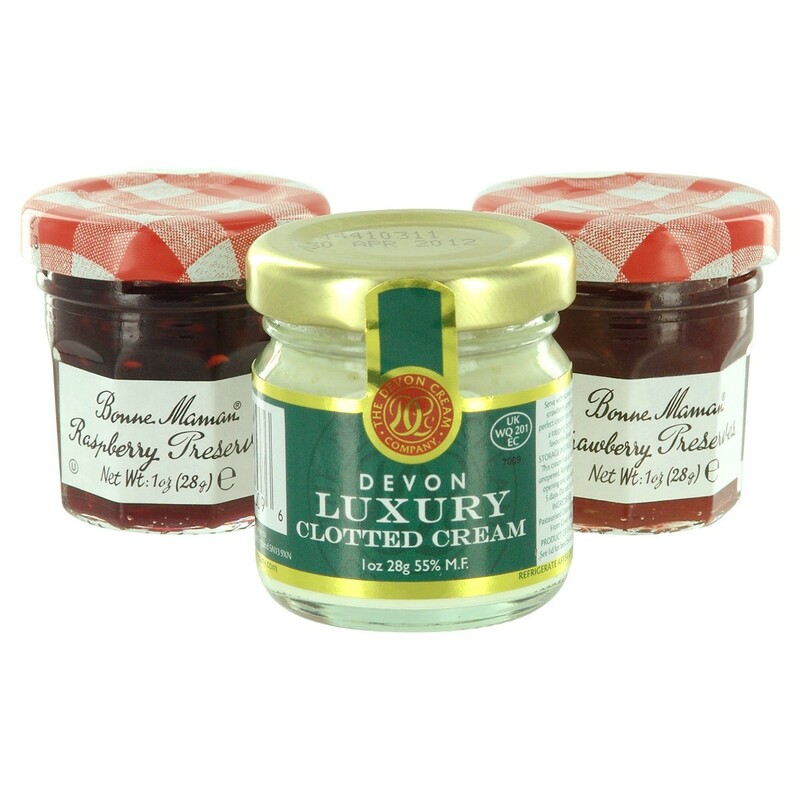 Try these jams on some bread, crumpets, or an English muffin! If you enjoy Bonne Maman’s jam, we carry larger sizes! For those who are not a fan of sweet or just like a little savory (or tangy) before jam, there is a treat for you, too! 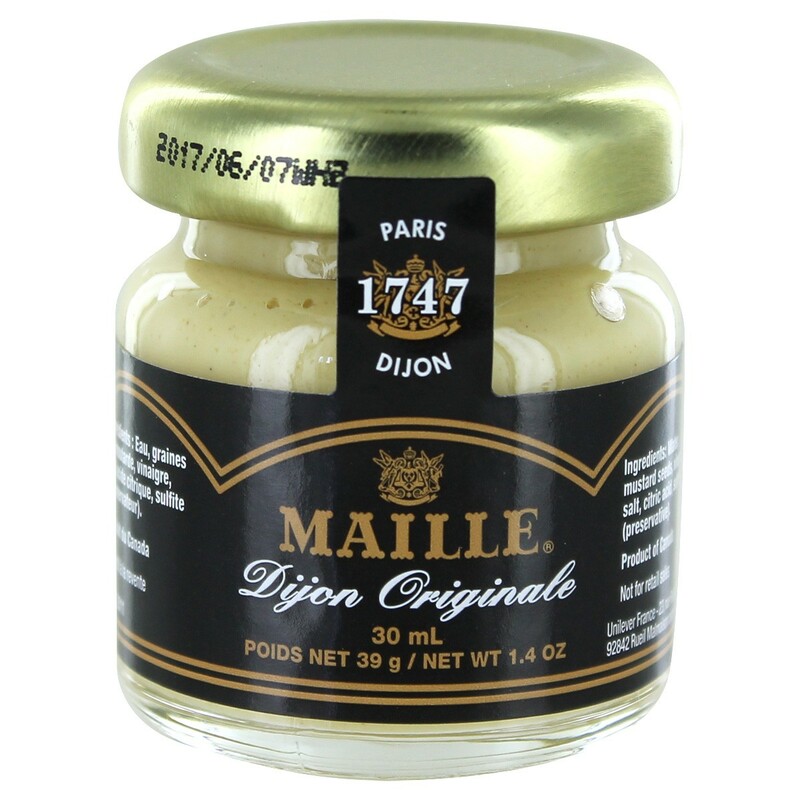 Just like Bonne Maman, Maille Mustards come in a tiny jar, so you can treat yourself with a little dijon or whole grain and have a lot of flavor. Try these on a sandwich, with a fresh soft pretzel, or even in recipes! Just a few teaspoons or tablespoons and your dish will have a lovely zing to it! Maille Mustards are a well trusted brand, as they have been making mustards, vinegars, and other products for over 250 years. Now, call these fun size, if you like! These may be tiny but you will get big taste and excellent quality from both Maille and Bonne Maman. And these treat sized jars are perfect year round, as you can get them for birthday parties (who wants a tea time themed birthday party? I sure do! ), weddings, or baby showers. These are available for multiple jar purchase. Simply specify how many you need and we will do the best we can to work with you so you will be able to charm your guests!